Prediction is the chief objective of Predictive Astrology. 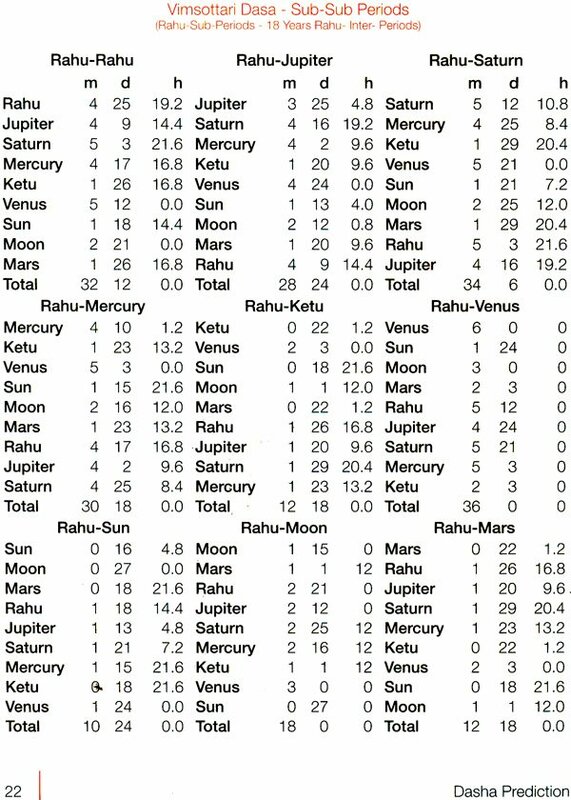 A learned astrologer has to make study of the three different parts of a horoscope – 1. 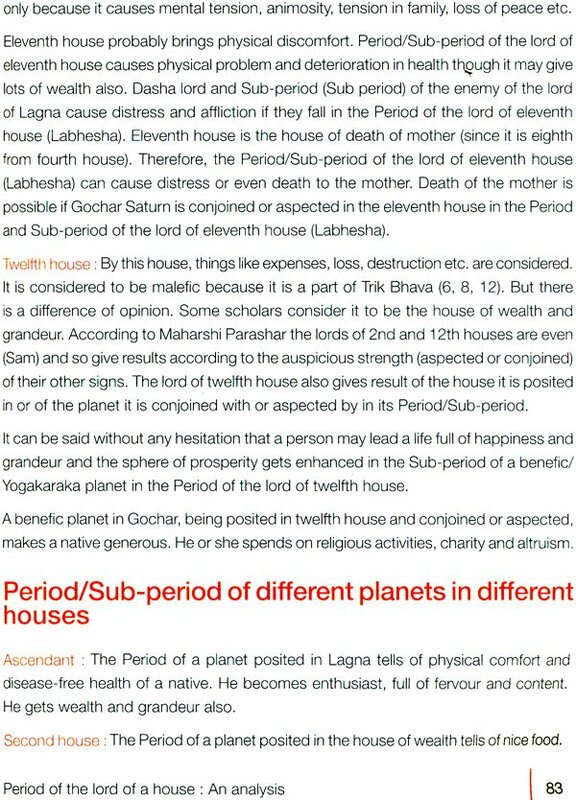 Yoga, the combination of planets and Lords, 2. Period-sub-period i.e. dasha, 3. Gochar that is, transit. All the three parts are the supplements of each other. Yoga is the most important among all the three parts. Period-sub-period i.e. dasha may prove to be futile if there is no Yoga in a horoscope. 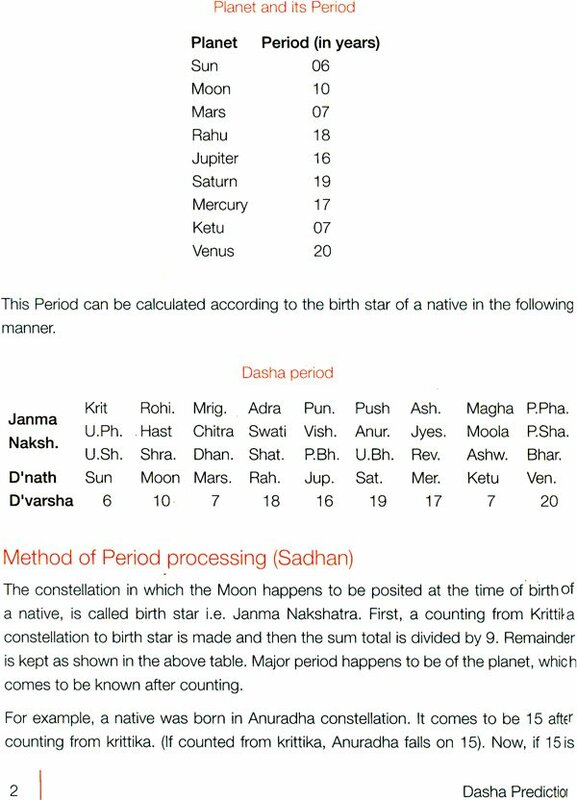 For example, Period-sub-period cannot bless a native with a child if there is no Santan Yoga in his horoscope. 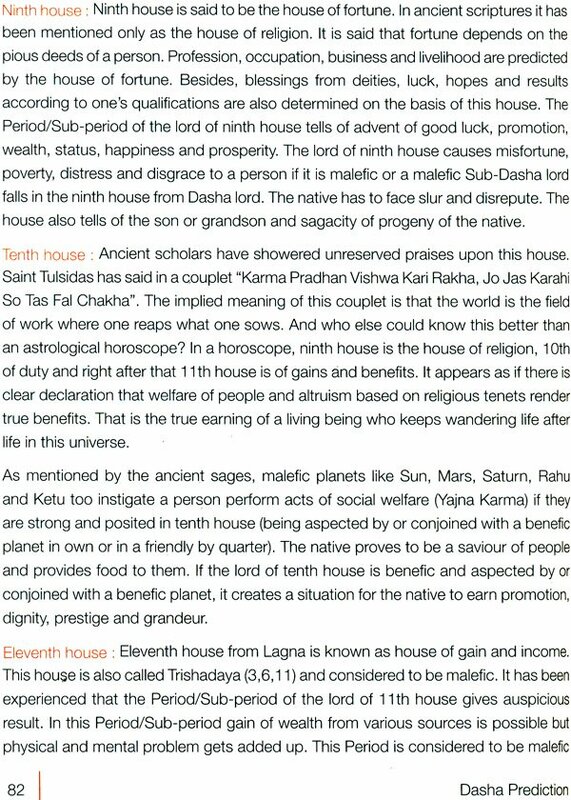 Dasha might be of Lord of fifth house or of Karaka planet. Likewise, Gochar too cannot do anything if there is no Yoga in a horoscope. So, all the three parts are essential to have the result. In the book, I have tried to put what I have learnt by experience. My views might not be approved of the scriptures, but it does not mean that the scriptures are wrong or erroneous. I do respect all the rules mentioned in the scriptures, exalted planets render benefic results. But in practical life, it has been experienced that the said planets prove to be unable in rendering favorable results. Take one more example. In winter, Sun proves to be pleasing, whereas the same Sun is scorching in summer when it is exalted. It is the need of the hour to ponder over the matter afresh. 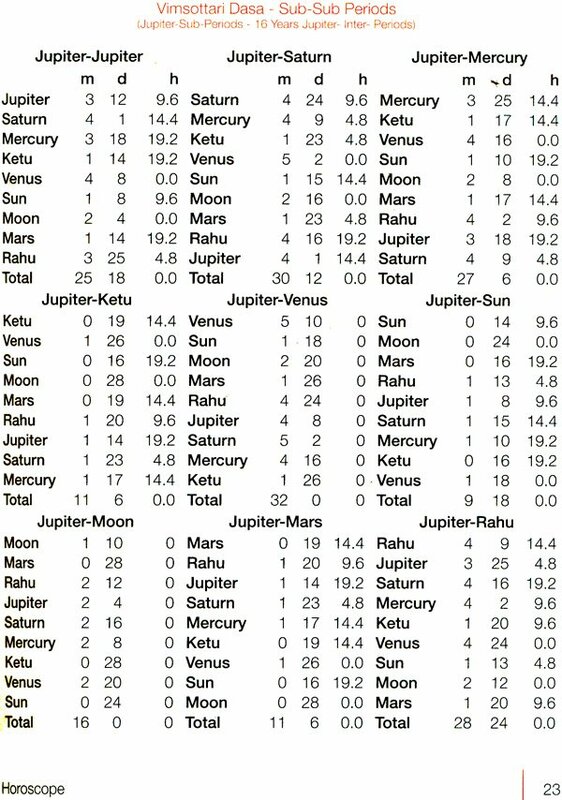 Learned astrologers should express their views in black and white, which will be beneficial for the society we live in. In the book a study of only of the said three parts has been mentioned and that is vimshottari dasha. Maharshi Parashar has mentioned 43 Dashas in his “Brahat Parashar Hora Shastra.” But here in this book the Vimshottari Dasha has been mentione elaborately in particular, which his used extensively. Besides, the Ashtottari and Yogini Dashas have also been narrated briefly. The book has been composed keeping in view the problems of the students of All India Federation of Astrologers’ Societies on the inspiration of Mr. Arun Kumar Bansal, President of the Federation. It has also been kept in view that the book may prove to be useful for the other students of Astrology. It is up to the students to decide how for I have been successful in composing the same. 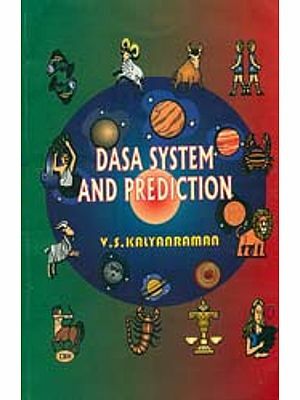 After getting the basic knowledge of Astrology, it is essential to analyze the running and coming dashas and give prediction on the basis of that. Dasha is such a medium which tells when a native will taste the fruits of success and attainment and when to suffer from grief and sorrow. Parashar has described about 43 dashas but the most authentic dasha is considered to be the Vimshottari Dasha. 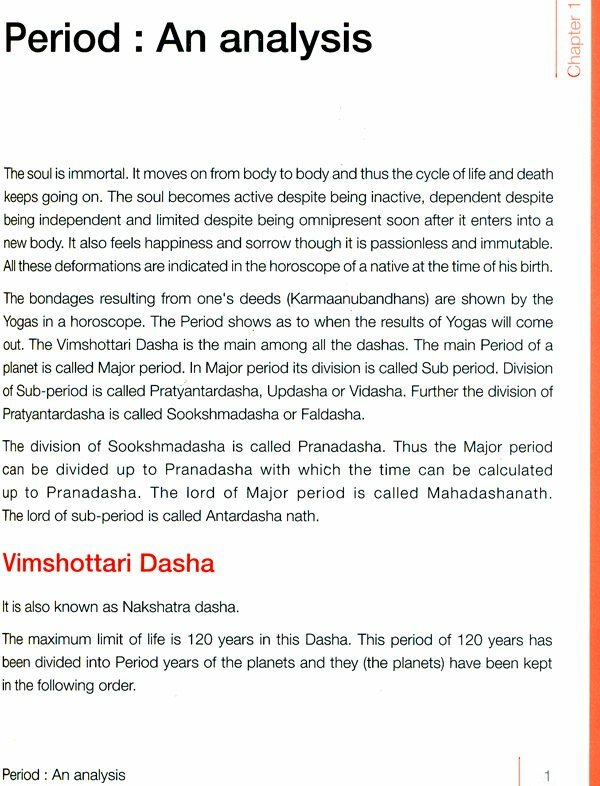 The cycle of Vimshottari Dasha consists of 120 years and a native enjoys any dasha one time only in his/her lifetime. 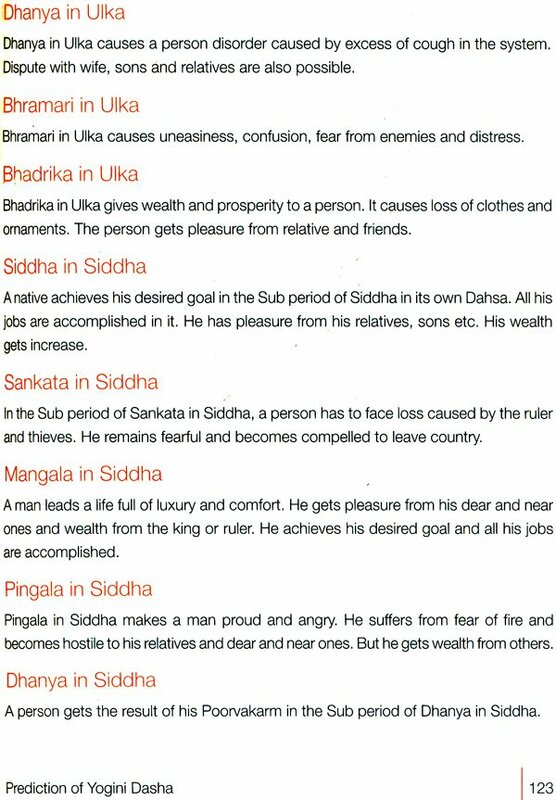 However every Mahadasha has 9 Antardashas. In this book, Dashas and Antardashas have been dealt with in detail and their results have been explained taking into account all the parameters. In the end yogini Dasha has also been described and its results have been explained. This book has specially been designed for the students of All India Federation of Astrologers' Societies but the other students interested to know this subject can also get benefitted equally with the study of this book.